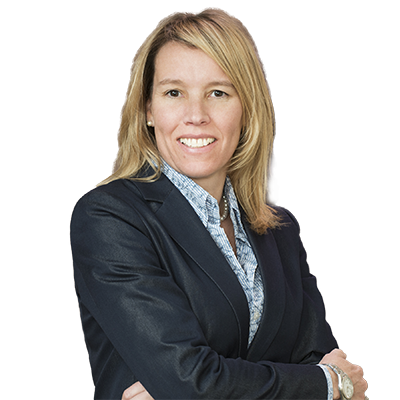 Katherine Wittenberg has more than 18 years of legal experience with a special interest in litigating products liability, personal injury, and commercial disputes. Katherine has represented clients in state and federal court litigation, class actions, investigations, mediations, and arbitrations. She has taken or defended hundreds of lay witness and expert depositions throughout the U.S. She is also experienced in negotiating complex commercial contract disputes. Represented auto manufacturers in personal injury and wrongful death cases premised on strict liability, involving defective automobile components. Took and defended expert witnesses in depositions involving glass safety issues, accident reconstruction, stability of roof structure and design; took depositions of injured plaintiffs, their relatives and next-of-kin. Represented pharmacist sued for professional malpractice and products liability following his compounding of a drug used in dental treatment. Represented corporate client in connection with revising and updating the company's documents, including terms and conditions of sale and inspection-related documents, for the purpose of attempting to limit risk of warranty or strict products liability for company's products and services. Represented company in responding to a Federal Trade Commission investigation into advertisements regarding efficacy of the company's products and services. In an American Arbitration Association arbitration proceeding, represented pipeline owner/operator in claims pursued against pipeline construction company which had installed a pipeline that subsequently experienced substantial compromise, due in part to corrosion; developed expert opinions in fields of pipeline corrosion, pipeline cleaning and maintenance, and pipeline construction, to overcome defenses based on statute of limitations, estoppel, spoliation and contributory fault, to achieve positive result for client. In a Colorado state court, represented clients involved in experimental oil and gas wells in Garfield County against allegations that chemical additives used in hydraulic fracturing caused negative impacts to underground sources of drinking water, resulting in various personal injuries (including foreign accent syndrome); worked to develop expert opinions regarding hydraulic fracturing processes and materials in order to contradict claims that substances injected at depths greater than 4,000 feet would have migrated to surface drinking-water wells. In a Colorado state court matter, represented oil and gas lessees in royalty-dispute claim where lessors claimed that they were entitled to a royalty based on the gross proceeds received from the sale of gas; developed counterclaims based on value of gas lessors had received through exercise of lease's take-in-kind provisions; involved with settlement negotiations concerning complex accounting for gas amounts and royalties. In a Colorado state court matter, defended landowner against pipeline company's petition for condemnation and immediate possession of portion of client’s ranch for the purpose of accessing, building and maintaining a natural gas liquids pipeline (along with an easement and right-of-way). In the 10th Circuit, assisted in the appeal of lease dispute regarding attempt by production company to extend primary term of lease by included leased lands in exploratory unit. In a Colorado state court matter, assisted in case in which plaintiff­lessor claimed that the client, an oil and gas production company, failed to comply with its implied duty under plaintiffs lease to further explore for and to reasonably develop the lease after initial oil and gas production had been obtained, and therefore certain undeveloped tracts should be released from the lease. Represented title insurance company involved in a $250 million insurance fraud case brought by the insured following the financial collapse of an underlying real estate project developed by the insured’s borrower. Took and defended depositions across the U.S. including members of the insured’s lender’s transaction team; the insured’s 30(b)(6) corporate witness; the insured’s lead attorney; the borrower’s CFO, controller and construction manager; title agent representatives; an attorney retained to defend the insured in underlying litigation; and title insurer’s corporate witnesses, including the company’s general counsel; and expert witnesses. Represented a foreign-registered accounting firm based in Hong Kong and regulated by the SEC and PCAOB under the Sarbanes-Oxley Act in responding to Section 106 demands to turn over audit-related documents despite apparently contradictory Chinese laws and regulations prohibiting the turnover of documents that, like audit work papers, could contain ambiguously-defined state secrets or state archives. In a securities fraud class action, represented directors and officers of company whose stock is traded on the OTC market, accused of manipulating financial statements and misrepresenting or concealing material adverse facts about the company. Represented individual directors and officers in a shareholder derivative action against complaints of breach of fiduciary duty, following the directors’ alleged involvement in misstating the company’s financial assets and misrepresenting the progress and development of the company’s business. In a civil investigation by the Federal Trade Commission, assisted in representing a company responding to an FTC investigation into advertisements regarding efficacy of the company’s products and services. In a Nebraska federal court action, represented a bulk terminal operator in dispute involving $2 million damage to soybean meal that had been shipped from Australia to the U.S., and was allegedly damaged when the stevedors at the terminal transported the cargo from the ocean vessel to rail cars at the terminal. Developed case strategy, retained experts, and negotiated settlement resulting in cargo owner's voluntary dismissal in exchange for our client's agreement not to seek costs. In a Colorado state court action, defended natural gas pipeline company against claims that it was partially responsible for construction defects in residential development project, on the grounds that the client had failed to properly dig, fill and compact trenches or ground around its gas meters.